It’s 2019, and you need custom web design now more than ever. Having a customized website instead of a cookie-cutter version can make all the difference for your company. We’ve noticed tons of reasons why customization is the way to go, but we’ve listed a few of our favorites below. The traffic to your website, those are actually potential customers, make a decision about your brand and company in seconds, you can read more about that here. Therefore it’s more important than ever to have a unique and well laid out web design. Everyone Has a Website. Not Everyone Has a Good One. Years ago, having a website meant that you were a professional. You knew exactly what you were doing. These days, everyone has a website. Simply having your own domain isn’t enough anymore. Lots of people have their own domains because it’s easier than ever to get one. If having your own website won’t set you apart, then what will? Custom web design. Customization will give you the competitive edge that you need to stand out from the crowd. It’s true. I can identify a website template do it yourself site in seconds and so can your visitors. It was good enough to have your cousin or brother design your site when it was a startup, it was good enough to have a WordPress do it yourself template when you were a year or so in, but now things are getting serious. If you want to impress and take your game to the next level it’s time to get a custom design for your web presence. You’ve probably had some experiences with premade site design. These services let users choose from a bunch of premade templates. Once you’ve picked your template, you don’t have much room for customization. You can make a few changes here and there, but that’s as far as your options go. Nowadays with custom web design, you get all the choices you could possibly want. From your overall design to your tiniest changes, custom web design lets you tailor your website to your exact needs. This is an important point because it allows you to find out what your audience wants and customize your web design to that audience. A template is made to meet the needs of the masses, but your audience isn’t just the masses, unless you are Walmart or the New York Yankees. Rather, your audience and your targeted visitors are qualified traffic based on the key words you have worked hard to rank for and the social media presence you have grown over time. Don’t waste all that effort on a design meant for just anybody. Get a professional to help you out so that the qualified traffic you are gathering converts at a higher rate through the use of custom design techniques. Time and time again I have seen a custom site convert almost 25 to 50% better when optimized properly. Did you know that having a customized website helps your search engine optimization? It’s true. Search engines have to decide which website is more relevant than others for any given search. 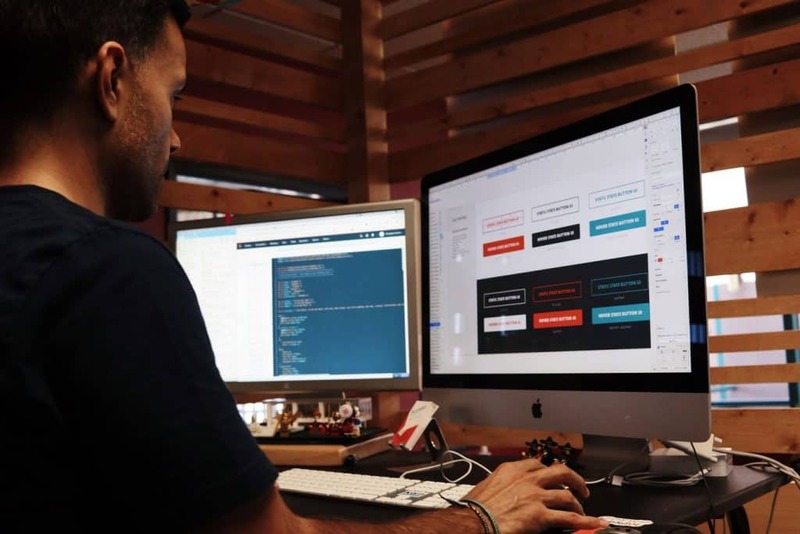 Customized websites do better with the algorithms, primarily because the designer is aware of the on page SEO best practices. To a search engine, a custom website has more professional power than a standardized website. Plus, you’ll also get more control over your keyword placement, which boosts your SEO even more. The idea here is that On Page Search Engine Optimization is most often done for you with a custom website where as a do it yourself design will undoubtedly lack some of the on page SEO nuances that experts are familiar with and in the end you cost yourself traffic and thus leads and eventually customers. Improving your SEO can be done on your own, but let’s be honest it’s a technical field for someone that doesn’t understand web design to be charging into. Plus the time it will take you to learn the technical search engine methods and best practices is probably better served by making money for your business in the area you love and know. You can check your SEO right now in the box below. We already mentioned that custom web design gives you options. Well, it also gives you scalability. premade templates don’t give you much room to grow. Perhaps they’ll update their templates once every few years or so. Customization, however, can give you all the flexibility that you need. Your web design team can help you anticipate business growth and increased traffic. When you discuss your goals and concerns with your team ahead of time, you can make the most of your website. 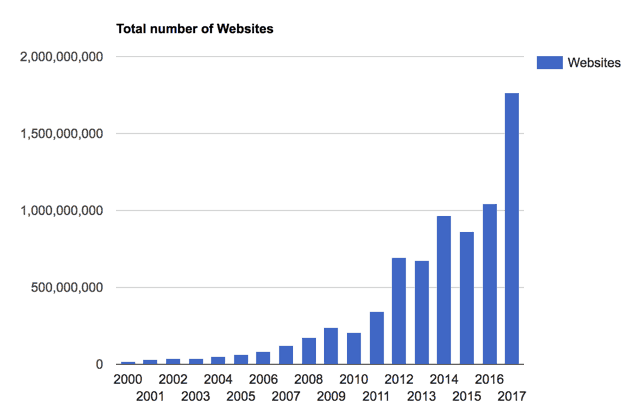 While the average website is redesigned every 2.67 years having a team in place that can easily scale your existing site and keep the backend of that site together is important. It’s a value added that should not be overlooked. Looking for the best custom web design? Let Green Thoughts Consulting help. We’ll work with you to create the best website for your company. When you’re ready to get started, we’re here to help. Contact us today.